TerraEarth - Forums - Terranigma - My first playthrough in 10+ years! 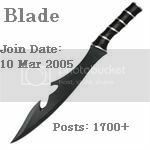 Blade Posted: Tue Jan 15, 2019 12:10 pm Post subject: My first playthrough in 10+ years! As you know, I am a big Terranigma fan, and I consider it the most important game of my childhood. I bought it as a kid, played it, cried for the story, and loved it immensely. Also, one of the first things I did on the internet, was to look up anything Terranigma related and join these very forums. Now between the age of (?) 7 or 8 and 19, I must've played the game multiple times a year, knowing it in and out, with every aspect predictable. Maybe some of you remember, that back then, I pledged to not play the game anymore until I turn 30. 11 or some years of abstinence. No playthrough, not listening to the music, no videos on youtube, nada. Why? To get as close as possible to a "First time playthough"-experience as possible. To get the dialogues, the story, the dungeons, the music away from me. Of course, the game was still on my mind. At first it was hard, but as the years went on and adult life kicked in, it became easier to not think about it (or the desire to play it). Well, in 2018, I turned 30. And last week, I started up Terranigma for the first time in a decade....! Every major event in the game and the music feel nostalgic. Some of the dialogues (especially with NPCs) feel like a new discovery. Of course the dungeons are familiar (where do I go/what to do) but everything feels unpredictable. Like, I enter a new area, and of course I recognise it, but it still comes as a surprise. The gameplay itself is challenging aswell, it took some time to get accustomed to the fighting style, and some dungeons are giving me a hard time (especially Creclif, Luran and Norfesta Forest). I just beat Bloody Mary in Castle Torronia, and I'm preparing to leave for North America. I'm fully enganged into the story, I'm level 25, and afaik I'm settled for the rest of the game levelwise. So yeah, 10 years of waiting make for a great gaming experience of an immensely beloved classic. And off-topic, I'll finish the game in a few days, and I'm leaving for South East Asia on Saturday, to go backpacking again for a few months. Terranigma is the root of why I got curious about travelling in the first place...! What do you guys & girls think? Have you done something like this? Are there any games you play at least once a year? Or do you wanna meet up in Thailand? well, i haven't done anything like this since i play Terranigma about once a year as you might know I completely forgot that your 10 years of abstinence were over, but i knew you were waiting to play it all along. your story makes me a bit envious, although 10 years is a really, really long time don't think I could do do without playing it. theres just this sensation from time to time to start up my emulator and play with goosebumps for 2 hours straight till I'm exhausted from endorphines. are you by any chance visiting Terranigma-places in south-east asia? why the long backpacking, need a time out? Dang, congrats Blade! It's been a long time since I played it too, but not quite 10 years. I do remember you had wanted to not play it to get the new game feel, and now you have! Hopefully the ending will give you the same emotions as before, eh? I've played through this game 3 times, and it never failed to make me cry at the end. Congrats on yet another playthrough. This, basically. The ending always gets to me, no matter the fact that I know what happens. A lot of games nowadays get me to cry at some point in them (FFXV was the more recent, non-FFXIV game to have it happen, in both the vanilla game and at least two of the dlc episodes - I have yet to play Ardyn's since I can't afford it at the moment) but Terranigma is in a league of its own and always has been. Do you remember the part of the game where you get stranded in the snowy mountains? That was one of the more sad moments too. I found one of the saddest moments in the game the part between killing berug on his air ship and leaving the overworld. knowing that your task is finished, and not being able to reach your friends again made the whole world feel somehow empty to me. You know, come to think of it, Terranigma does have a lot of sad moments. It's actually quite amazing that a game from 1996 could tug at our heartstrings so hard still. Eklemata with the mountain goat is one of those moments that makes it feel pretty real to me. Like it's a game and all, yeah, but the dark moment just makes you go "...oh "
The last day in Crysta always gets to me too. Sorry ^^ I was busy with my trip, but I'm back in Austria. This time I went to Thailand, Myanmar and Vietnam. I did indeed need a time out, and I wanted to escape the January & February weather in Europe. No gf, just a dead-end job, so nothing to really hold me back. I'm back now, and struggling to find a good, fulfilling job that doesn't chew me up. Terranigma just has alot of links to real-life. I did a 10 day meditation course in Thailand, that, with paying attention to the game NPCs who talk about death/rebirth & religion, you find some traits of Bhuddism in the game...! Especially after my very first playthrough as a kid, going back to the underworld, and hearing the eerie, dramatic theme again in what felt like AGES was soo chilling. I got caught up with travel preparations, and time was running out to actually finish the game. So on the day of departure (airplane takes off at 11:30 pm) I finally finish my packing, and I start up the game one last time, not sure if I can beat it in time. So alot of dialogue and waiting happens in game, and I just think "I need to keep playing, I can't leave this unfinished." But I'm only lvl 30, and I die to the second boss. No time to level up and go again, I just look at the SNES and think "Ok you beat me, but I'm coming back for you. ", grab my backpack, get to the airport and fly to South East Asia. how long were you away exactly? If you get to 'nam, be sure to try the Pho.